Immerse yourself in the Aloha spirit by riding the waves with us. Our warm and welcoming professional instructors provide surf lessons that gently introduce both kids and adult beginners to the basics of the board so they feel confident, secure and safe. You’re on a beach. You’re soaking in vitamin D and drifting into peace to the sound of crashing waves. The sand is warm. Salt and plumeria flowers fill the air. You look across the deep blue ocean, past the perfect barrels rolling in off shore. You see a bright saturated rainbow stretching across the sky. A gentle breeze blows through your hair. Distant birds sing to one another. You have a volcano on your right, and a flower dazzled trail to a waterfall on your left. Hawaii is a precious gem on Earth for many reasons. One of the best (and most fun) reasons is the surf! If surfing holds a spot on your bucket list, theres no better place to check it off then Hawaii. Don’t know where to begin? I’ve got it covered! Visit hawaiisurflessons101.com for surf lessons that will leave you ready to shred the gnar, any where you go! Locations in waikiki, north shore of Oahu, hawaii, maui, and kauai, make surf lessons convenient. No matter which island your vacation takes you. So, what if you’re an experineced surfer? We take that as a challenge! We will provide you with the thrill seeing experince you crave. As well as, a chance to enhance old skills, and learn new ones. You soaked up the sun and surfed until you couldn’t feel your arms, now what? Adventure! Hawaii’s mesmorizing hiking trails will leave you in awe. 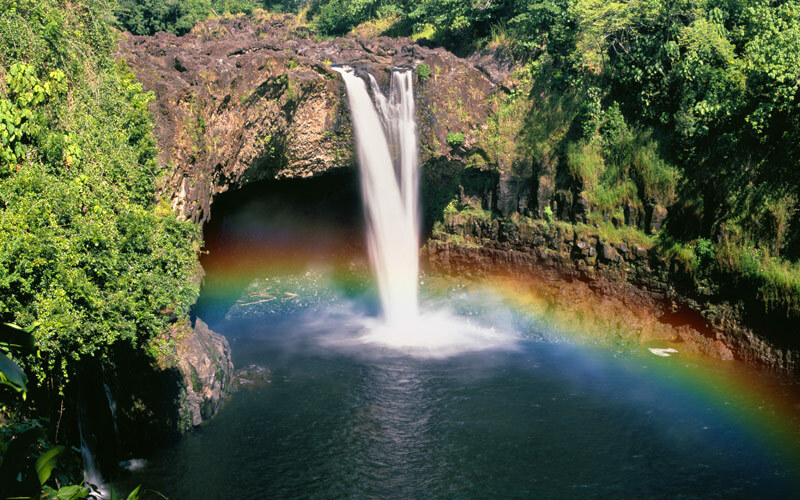 Blue skies, waterfalls, warm air, beautiful nature, volcanoes, and once again rainbows! So many treasures to see and places to explore. Hawaii is a dream. An oasis to cleanse and realx your mind from your every day life. Plan your ultimate get away now. Don’t forget to book your surf lessons at hawaiisurflessons101.com for an experience of a life time! We look forward to surfing with you soon, Mahalo! Stay up to date with the latest news and events from our Hawaii surf lessons 101.